Have you ever been to the Bellagio? The ceiling is amazing! 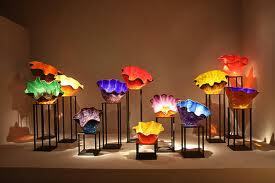 It was done by Dale Chihuly. He is an artist who does glasswork sculptures. He has a permanent exhibit in Oklahoma City, and when we lived there, we would frequent the art museum just to see his work. It was my kids’ favorite exhibit in the museum. So, we decided to make our own art inspired by the Chihuly exhibit. First, you take some large coffee filters and trim the edges so they are no longer perfectly round. Then color away with washable markers. When they are completely covered, turn the filters upside down over plastic cups and spray with spray starch. I let mine dry and then sprayed again. When they dry, you have your own Chihuly inspired artwork! 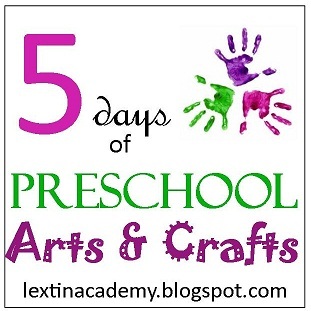 Follow along with other Crew Bloggers this week with our 5 days of blogging fun! This is an awesome project!! We have a huge Chihuly sculpture here in SLC in our concert hall that he did for the 2002 Olympics. We love to look at it whenever we go to the Utah Symphony. Thanks! The kids enjoyed it and liked the results. I was thinking about mounting them on a canvas. 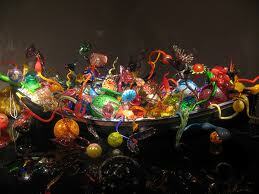 We love Chihuly stuff!